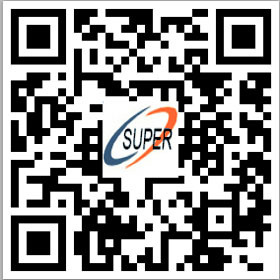 Hefei Super Electronics Co., Ltd.
was established in 2002, located in Hefei, Anhui Province. Our company covers an area of 8,000 square meters and a construction area of 10,000 square meters. Hefei Super Electronics Co., Ltd. is a professional manufacturer in all kinds of Neodymium Magnet(Neodymium Magnetic Arc,Neodymium Magnetic Bar,Neodymium Magnetic Ball,Neodymium Magnetic Disc,Neodymium Magnetic Block,Neodymium Magnetic Ring),Ferrite magnet,Rubber magnet. We have twelve years of experience in magnetic material and have a good reputation in this field. Our products have won praises from customers worldwide. We have one group of experienced professionals; the staffs have more than 150 people .We have implemented a strict and complete quality control system, which ensures that each product can meet quality requirements of customers. Besides, all of our products have been strictly inspected before shipment. Our products are mainly exported to Southeast Asia, South America, Europe, America, the Middle East and other regions. "Good Quality, Good Credit, Win-Win" is our goal. We hope to establish good relationships with customers on the basis of equality and mutual benefits. We look forward to your inquiry.